PRODUCT DESCRIPTION: Kit which comes with the needed equipment for quick removal of snake venom. Great to bring afield while hiking, camping or hunting. 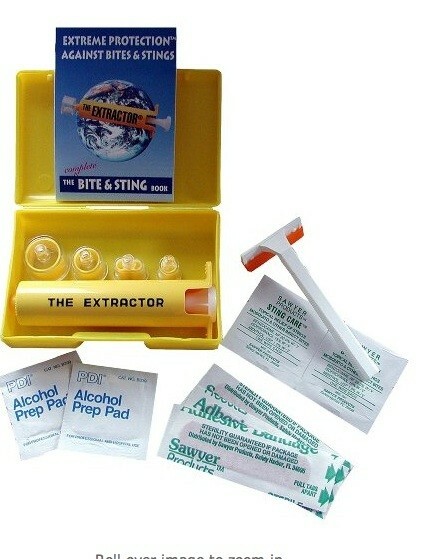 Each kit comes with four applicator cups, safety razor, alcohol pads, sting care pads, the Complete Bite Book and it's own carrying case. The Extractor Pump is able to produce 750 millibars of suction which enables you to remove significant amounts of venom from snake bites.